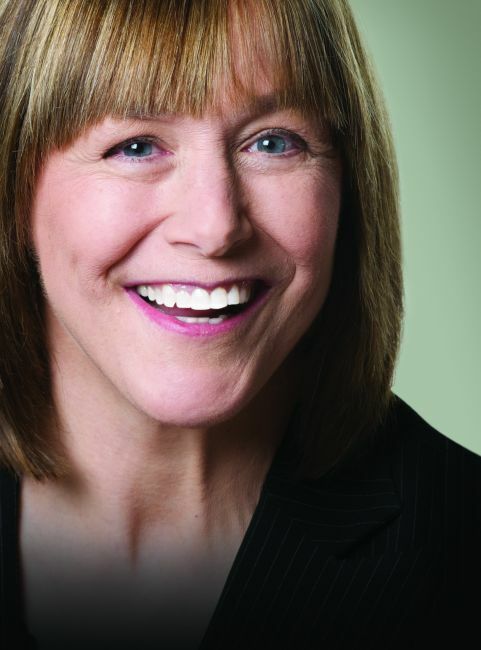 Geri Jewell, comedienne, actress and in-demand motivational speaker, is headlining a series of events at West Virginia Northern Community College in celebration of Disabilities Awareness Month in October. The week-long commemoration will be highlighted by an appearance by Jewell at 7 p.m. on Monday, Oct. 13, in the B&O Building auditorium on the Wheeling campus, 1704 Market St. downtown. Disabilities Awareness Month activities, all open to the public, are supported by funds received by Northern as part of the competitive Diversity for Equity grant program through the West Virginia Higher Education Policy Commission and the West Virginia Community and Technical College System. Introduced to millions of television viewers as “Cousin Geri,” Jewell has risen to become a leading force in disabilities advocacy. She started her acting career as the personal choice of famed producer Norman Lear for her role as Cousin Geri on the ground-breaking NBC sitcom, “The Facts of Life.” With this role she became the first person with a visible disability to become a regular performer on a national, prime-time television show. During her run on the show she broke barriers by addressing issues of disability awareness. Those who have heard Jewell speak say she has an uncanny ability to captivate the hearts of audiences by using humor to facilitate attitude changes. Geri brings to her presentations the personal experience of having her behavior and actions misunderstood because of her cerebral palsy. In her acting career, she was personally selected to be part of the Emmy winning HBO series, “Deadwood” where she became qualified to be nominated for an individual Emmy for her portrayal of “Jewell.” She also is a re-occurring character on “The Young and the Restless,” was recently featured on “Strong Medicine” and appeared in an episode of “Glee” last season. In April of 2011, she released her autobiography, “I’m Walking as Straight as I Can: Transcending Disability in Hollywood and Beyond.” Not only does she write about her journey as a person with a disability but for the first time discusses her struggles with her sexual identity throughout the years. The book also has opened many new doors for her. She was selected to be a keynote speaker at the National Gay and Lesbian Chamber of Commerce and was recently selected by Ernst & Young to be their featured speaker at their annual luncheon at the Out & Equal Business Summit which attracted 2,600 people from 46 states and 34 countries. Also on Oct. 13, from 11:30 a.m.-12:30 p.m., Wheeling campus faculty and staff will participate in an open house at Northwood Health Systems. From 11 a.m.-1 p.m. on Tuesday, Oct. 14, Physical Health will be the topic on the Wheeling, Weirton and New Martinsville campuses when personnel from the West Virginia Division of Rehabilitation Services will present information about how they assist persons with disabilities. A question and answer session will be included with a light lunch provided. Those sessions will be held in the auditorium on the Wheeling campus, in room 249, Weirton campus, and in room 110, New Martinsville campus. Emotional Health will be discussed from noon to 1 p.m. on Wednesday, Oct. 15, in the B&O Building auditorium, Wheeling campus. The program by WVNCC faculty member Joyce Britt will address stress in life. From 11 a.m.-1 p.m. on Thursday, Oct. 16, Mental Health will be the topic for a presentation in the B&O Building auditorium, Wheeling campus. Chip Railing, community outreach coordinator for Ohio Valley Medical Center, and Dr. Michael Marshall from West Liberty University will discuss current issues within mental health communities as well as information on “Mental Health Concerns on Campus.” A light lunch will be provided.